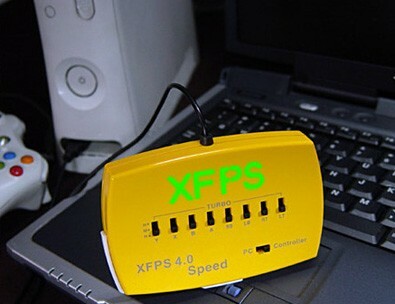 Game Pad Accessories : XFPS 4.0 Speed for Xbox 360 - SHOP01MEDIA - console accessories and mods, retro, shop - One Stop Shop! Connect PS/2 or USB mouse & keyboard to your Xbox 360.Connect PS/2 or USB mouse & keyboard to your Xbox 360.Compatible with all mice and keyboards. Compatible with all mice and keyboards. Accuracy in aiming and fast response while playing shooting game. Easy to map all 360 wired controller keys to keyboard and mouse via PC by XCM software. When using with our new coming product (Magic link), the remote player can help you to pass the game level via the internet from his PC. 3 level of auto fire function. 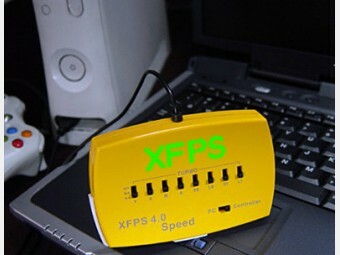 NOTE: The difference between the XFPS 3.0 sniper plus and XFPS 4.0 speed is that the XFPS 4.0 speed needs to connect to the PC while playing when the XFPS 3.0 doesnt need, but the XFPS 4.0 speed offers more functions. Note: It needs to connect to PC (laptop or desktop).